ASPIRE's Organizational Leadership degree will give you the tools you need to succeed as a leader in profit and non-profit organizations. Designed for students with work experience and/or strong interests in interdisciplinary studies and administrative or supervisory careers, the Organizational Leadership degree will enhance your individual effectiveness in leadership positions and develop you into a leader who can not only engage in bold acts, but can also inspire effective leadership in others. This degree is offered in a classroom format and an online format. ASPIRE's unique class structure is designed to accommodate busy adults. You'll take one class at a time — one evening a week, with each class designed to build on the knowledge gained in the previous class. In this way, you'll move through your degree program in a step-by-step, structured class schedule that allows you to focus your full attention on the material you need to know in your chosen field. It's a process that optimizes learning, leading to greater assimilation and stronger retention of the knowledge and tools you need to compete in the marketplace. The online Organizational Leadership program allows you to pursue your education without changing your schedule. 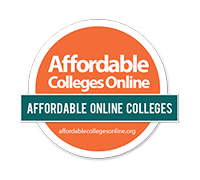 As a completely online program, you can complete your degree on time – your time. After taking a short online Orientation course, you will be prepared to participate in the online courses. The Organizational Leadership program consists of 12 online courses and a capstone portfolio. Each course is five weeks long, running from Monday through Sunday and students take one course at a time. Find out more about this option under our Online Delivery page. *This program requires participation in a program-long capstone project. Reflection papers are written each semester and a final paper is submitted at the end of the program. View our Catalog for full course descriptions. Some of these occupations may require additional coursework in another area. Read more ASPIRE student stories.